Recent BA (Hons) Graphic Design graduates Josh Cieslar and Libby Insch are heading off to America to start their first professional roles working for fashion giants Abercrombie & Fitch. Recent BA (Hons) Graphic Design graduates Josh Cieslar and Libby Insch are heading off to America to start their first professional roles working for fashion giants Abercrombie & Fitch. Josh and Libby caught their eye after submitting competition briefs that they completed as part of their course and will join their head office in Ohio as designers in October 2013. As part of the project the students at NTU were also visited by a designer from Abercrombie & Fitch, who gave them a tutorial and feedback on their work. Josh said: "It proved really useful to get the opinion of a professional designer who is doing this day in, day out. After handing the project in I was lucky enough to be given an interview by the company and was subsequently offered a job as an apparel designer." I chose NTU because of the opportunities with industry that the course gave you, allowing you to create direct connections. Reflecting on his time at NTU Josh said: "I couldn't really recommend NTU highly enough: the course was great, the tutors were helpful, the facilities were excellent and Nottingham is a really cool city. There's always something going on and the University has great links with industry which is really useful for helping you to find a job when you graduate. I would definitely recommend NTU!" Kathryn Coates, Senior Lecturer in Graphic Design said: "The course has great links with industry and regularly works with a wide range of partners on live projects. 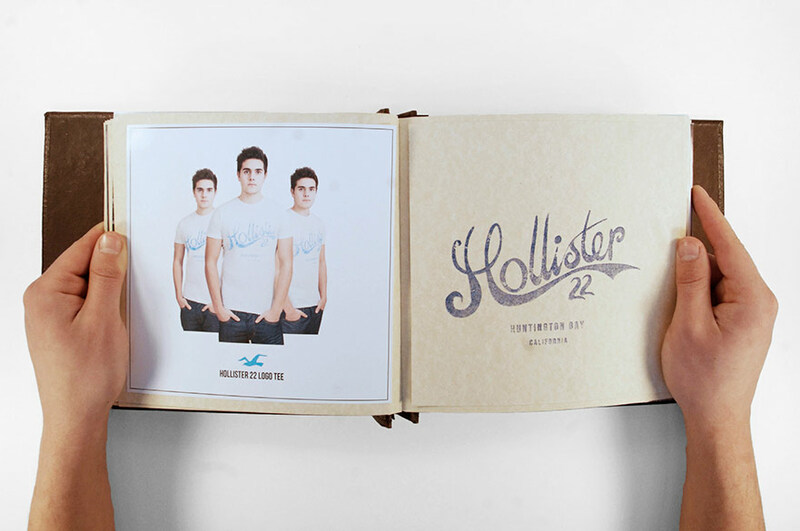 Our long established relationship with Abercrombie & Fitch continues to flourish. This year our final-year students worked on a live brief set by the company and as a result Josh and Libby were offered permanent jobs in their head office in Ohio, creating graphics for their apparel."